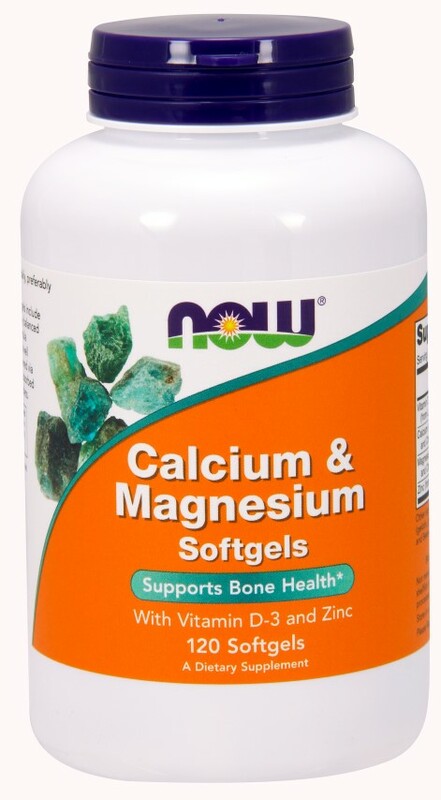 NOW- Calcium & Magnesium Softgels include Vitamin D and Zinc and offer a truly balanced and synergistic blend of essential minerals. This formula supports strong bones and teeth, healthy enzymatic activity, and provides antioxidant support. * Delivered via softgel, this formula is more easily absorbed and assimilated than capsules or tablets. Suggested Usage: As a dietary supplement, take 3 softgels daily, preferably with meals. Consider taking this product in combination with NOW- OsteoBoron. Other Ingredients: Softgel Capsules (gelatin, glycerin, calcium carbonate, water), Rice Bran Oil, Yellow Beeswax and Soy Lecithin.